Gaming computer maker Maingear is now selling its smallest gaming desktop yet. The Maingear Spark measures just 4.5″ x 4.23″ x 2.34″ but it packs an AMD A8-5557M quad-core processor and Radeon R9 M275X graphics. It’s now available for purchase for $699 and up. If the system looks familiar there might be two reasons for that. 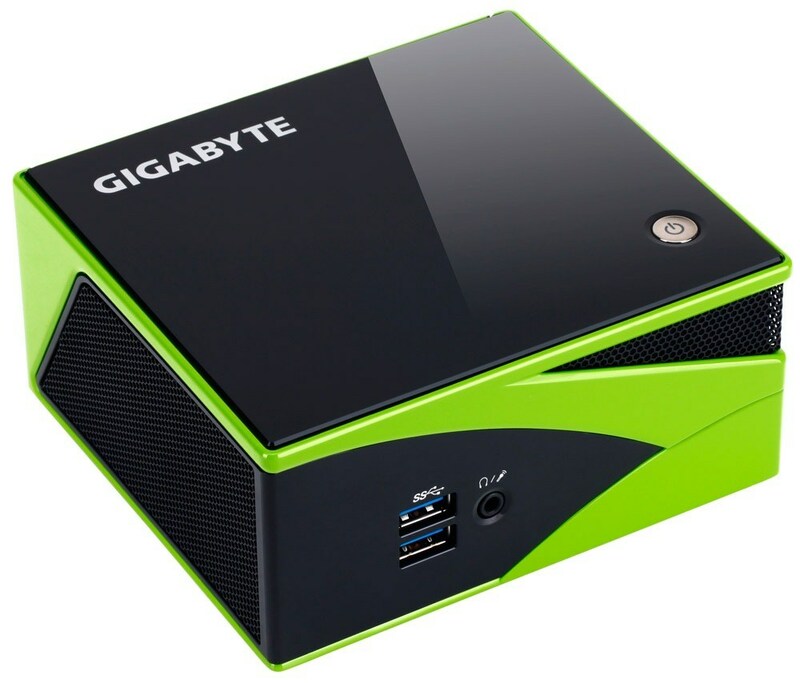 First, it seems to be a Gigabyte BRIX gaming PC with Maingear’s name slapped on top. Second, Maingear introduced the Spark in January and positioned it as a Steam Machine computer which would run Valve’s upcoming Steam OS operating system. Since Steam OS won’t launch until 2015, it looks like Maingear decided to just go ahead and release the Spark as a Windows machine. It’s available with Windows 7 or Windows 8 — although the operating system isn’t included in the $699 base price. One reason to consider picking up the Maingear Spark instead of Gigabyte’s own version of this desktop is that Maingear offers a bunch of customization options. The base model comes with 4Gb of RAM and a 500GB hard drive. But you can opt for up to 16GB of RAM, up to 1TB of hard drive or solid state storage, or choose an optional secondary mSATA SSD. On the other hand you could probably save some money by picking up the Gigabyte BRIX and adding your own RAM or storage upgrades. It’s already available for as little as $570. isn’t this just simply a rebranded gigabyte brix? very much looks like it. Also it gives of the impression of “sloppily painted red” version of the clearly nvidia-logo inspired green & black brix case because it uses AMD parts.